The breed can be traced back to several polled strains in 19th Century Scotland. They are renowned as easy to manage, early maturing and producing high-quality, well-marbled beef. They also benefit from a high carcass yield. Angus are very hardy due to their native environment. They are naturally polled and due to calves being smaller than the market norm crossbreeding with dairy cattle is required for veal production. They are renowned for maturing earlier than other British cattle breeds like the Hereford or North Devon. 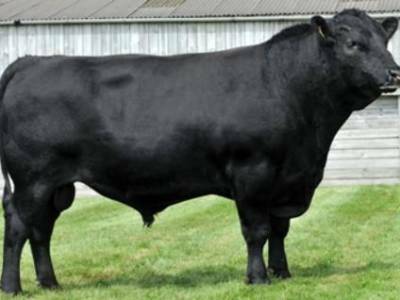 Aberdeen Angus have a large muscle content and their beef is popular for it’s marbling qualities.